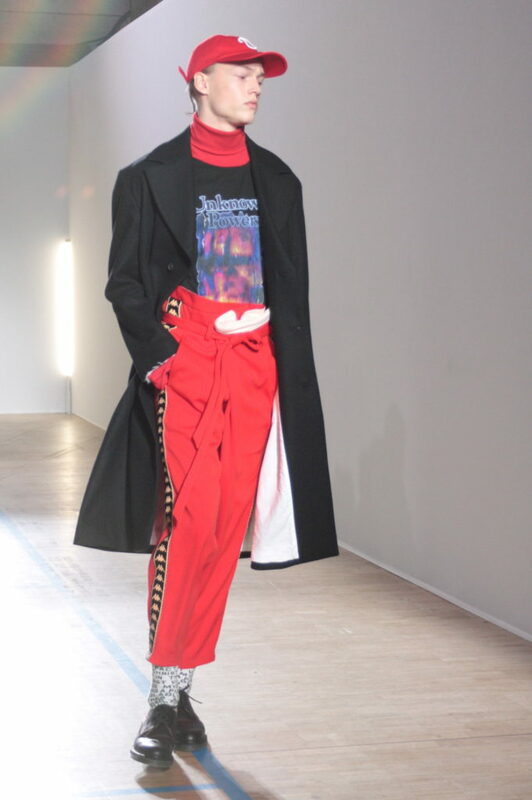 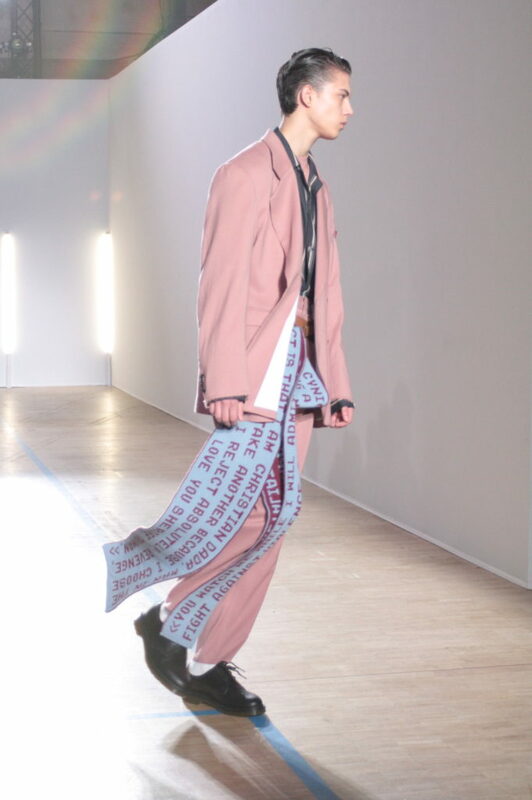 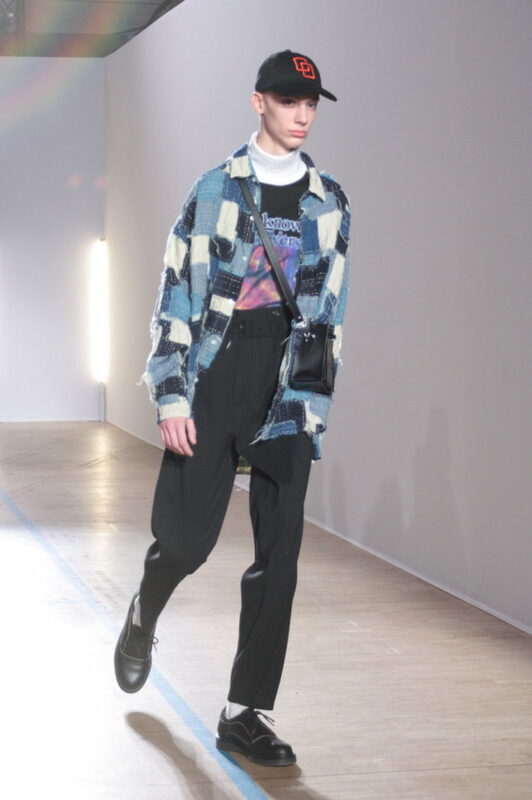 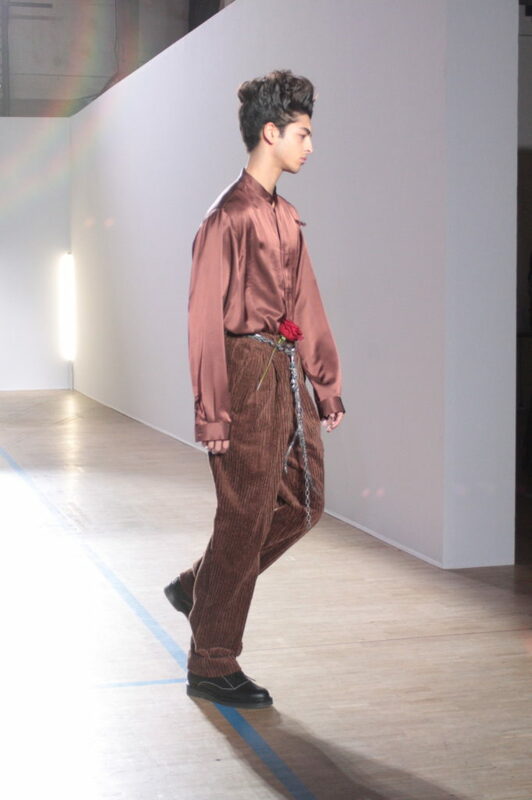 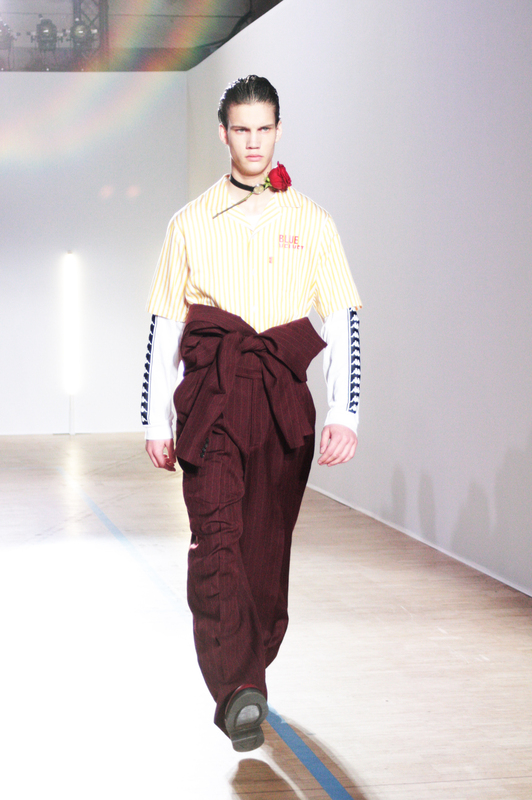 For his Christian Dada autumn/winter 2018 collection, Masanori Morikawa decided to use his love for David Lynch films as the main inspiration. 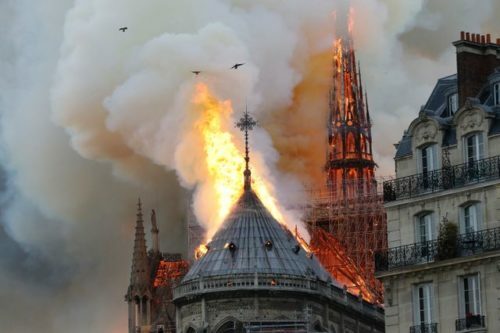 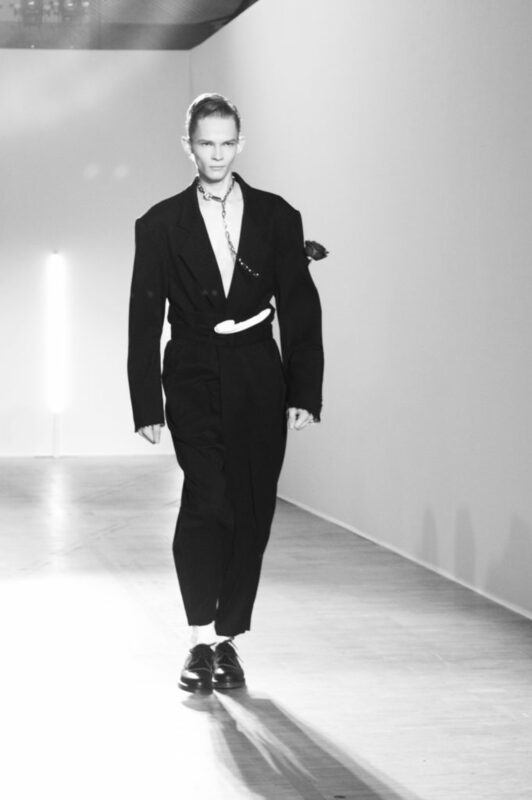 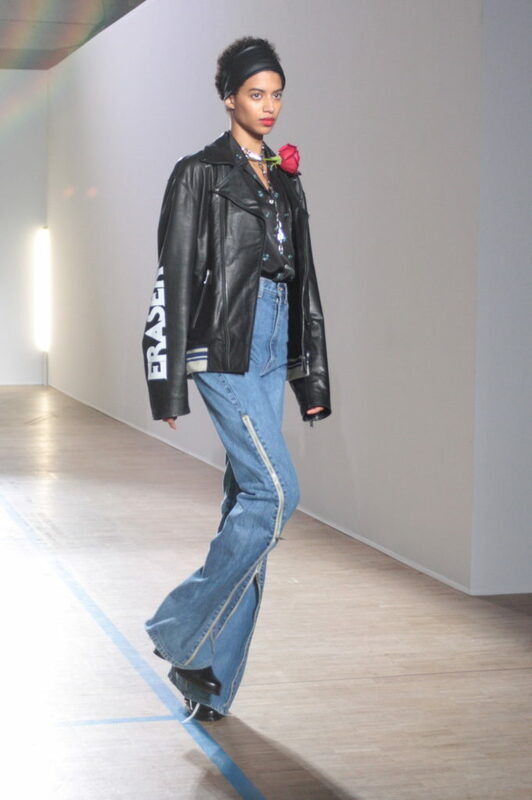 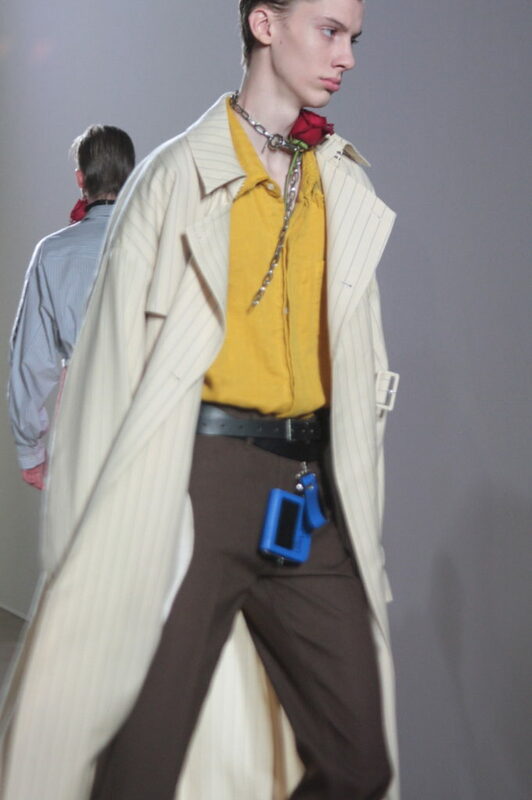 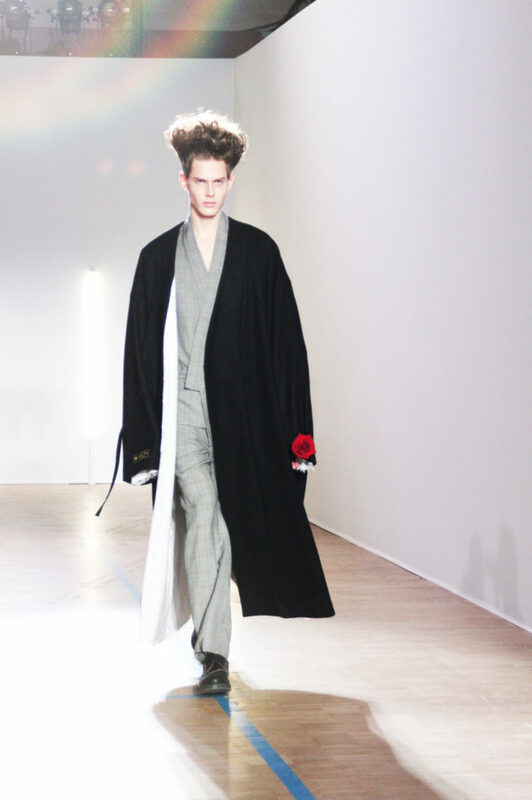 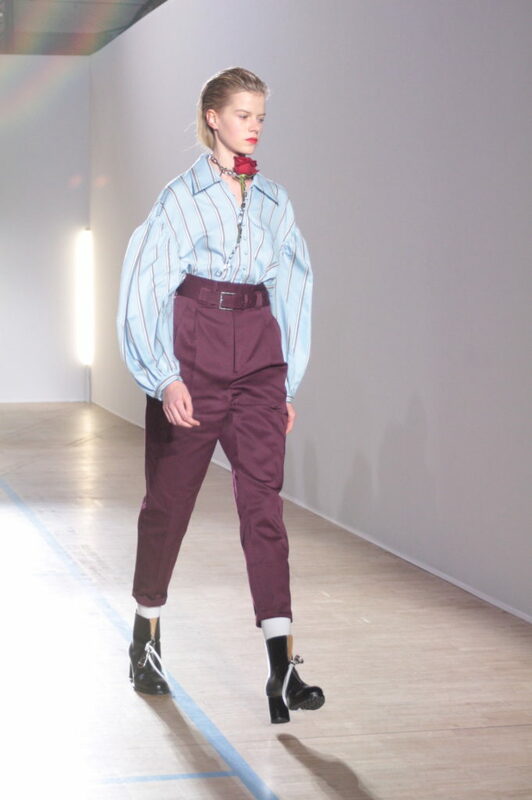 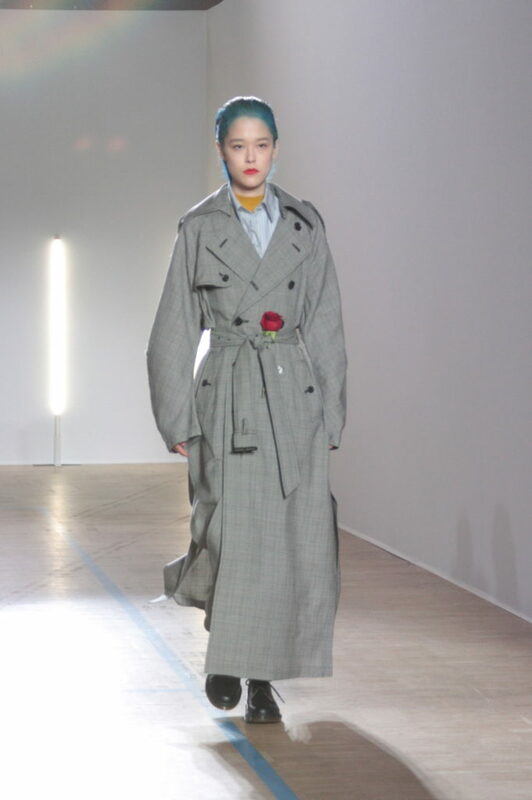 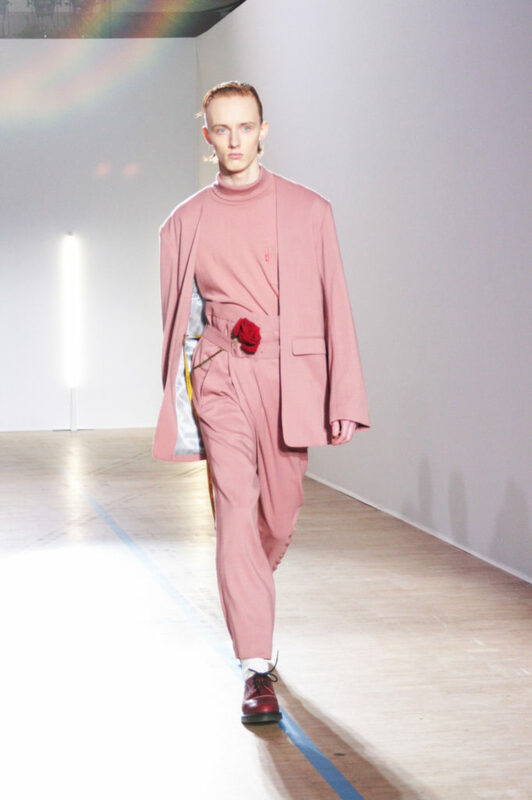 Some models walked down the runway in Eraserhead hairdos, while others carried red roses in their pockets, attached to their necks or to chain belts, a nod to the movie Blue Velvet. 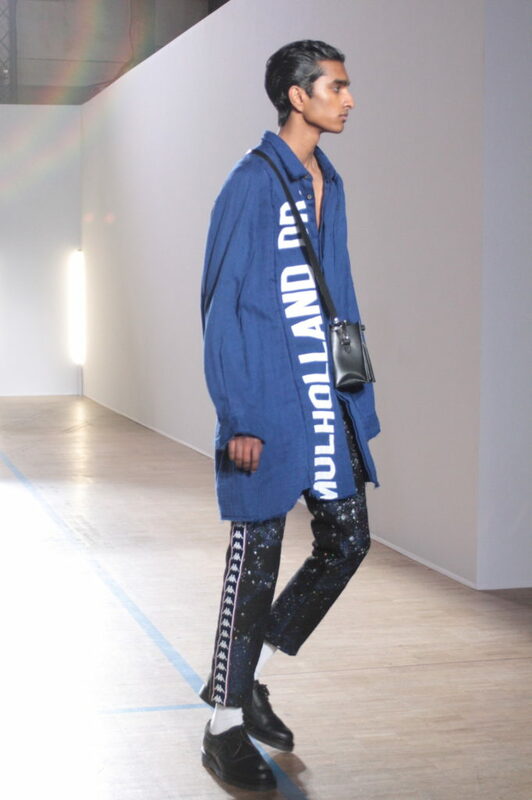 A rich cinematic color palette completed the homage to Lynch’s vision : bright lipstick red, deep burgundy, blush pink and an amazing sequined constellation navy blue. 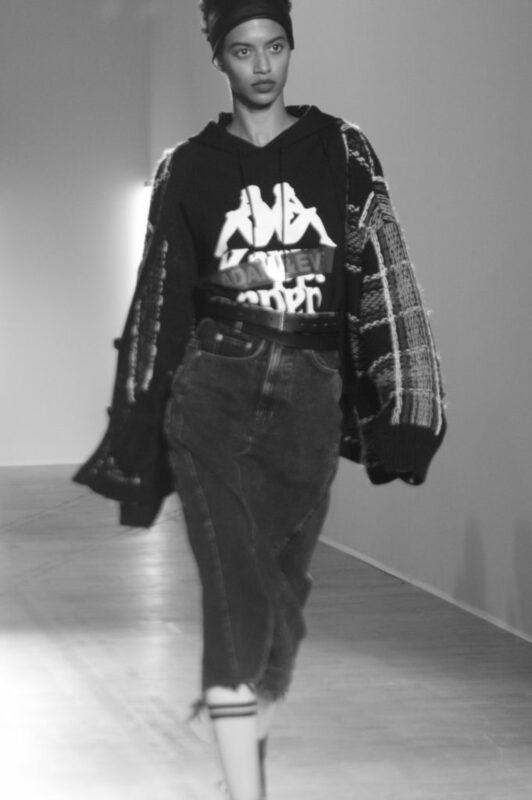 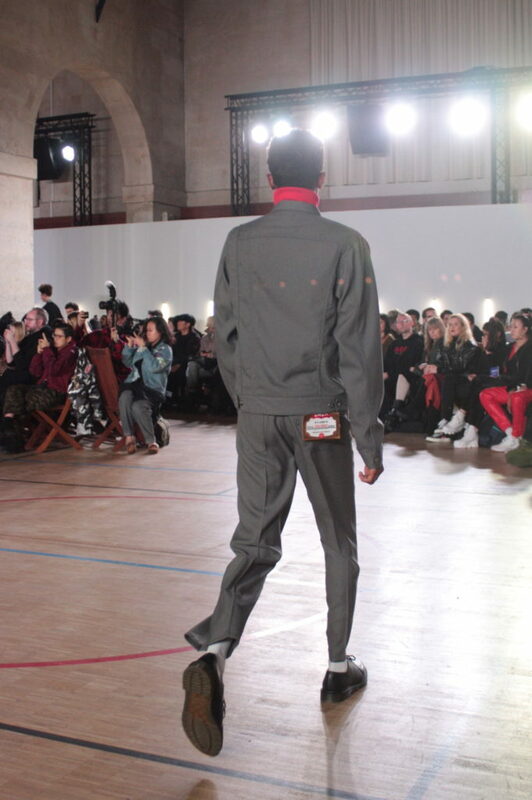 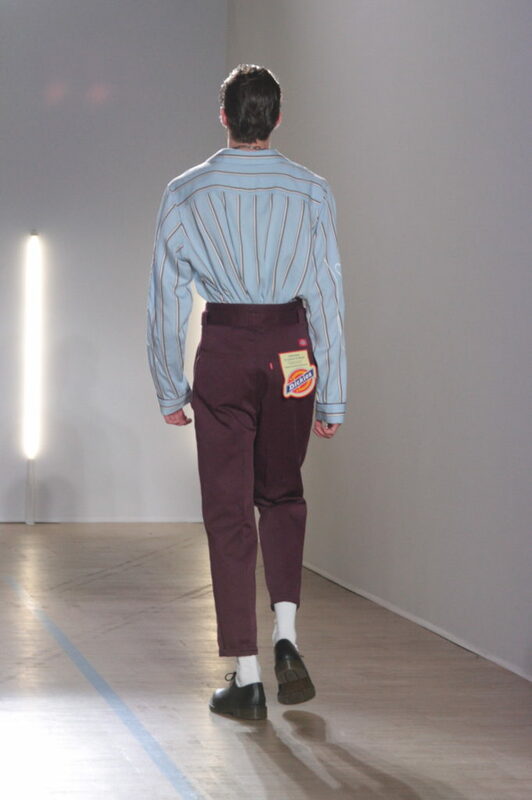 Morikawa also collaborated with legendary sportswear brand Kappa, as well as skater brand Dickies for up-to-date versions of the iconic twill pants.